After a brief hiatus, our weekly Swim Tips are back! This week, we're slowing things down and taking it back to the basics with one of our favorite tools: the Instinct Paddles, a strapless sculling paddle designed to isolate a palm positive sculling motion for all four swim strokes. 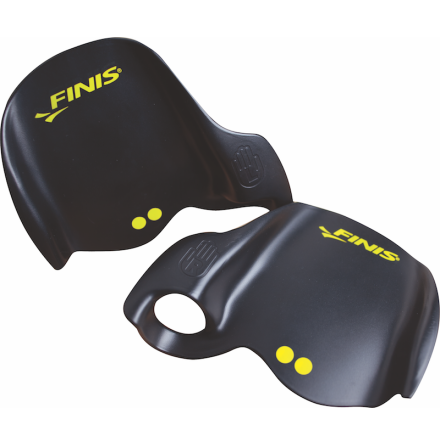 Add the Instinct Paddles to a warmup to enhance your feel in the water and promote proper sculling technique throughout a workout. The sculling motion is a subtle skill and that requires a significant amount of patience and focus, therefore overlooked in workouts. An easy way to incorporate sculling work is to build it into a warmup set - this allows for quality drill time before speed and aerobic work come into play. Furthermore, focusing on proper sculling technique at the beginning of a session is a good way to initiate a keen awareness throughout further sets.